The Garden of the Gods is easily one of the most beautiful places I have ever been. It may not have been named with any religious thoughts in mind, but when looking at the valley spread below the rocky cliffs God’s handiwork is crystal clear. Tucked into the Shawnee Forest, that encompasses 280,000 acres of unglaciated areas known as the Ozark and Shawnee Hills, the rock formations are truly awe inspiring. The stop at the Garden of the Gods was part of a travel writer tour of Southern, Illinois’s Hardin County and surrounding area. 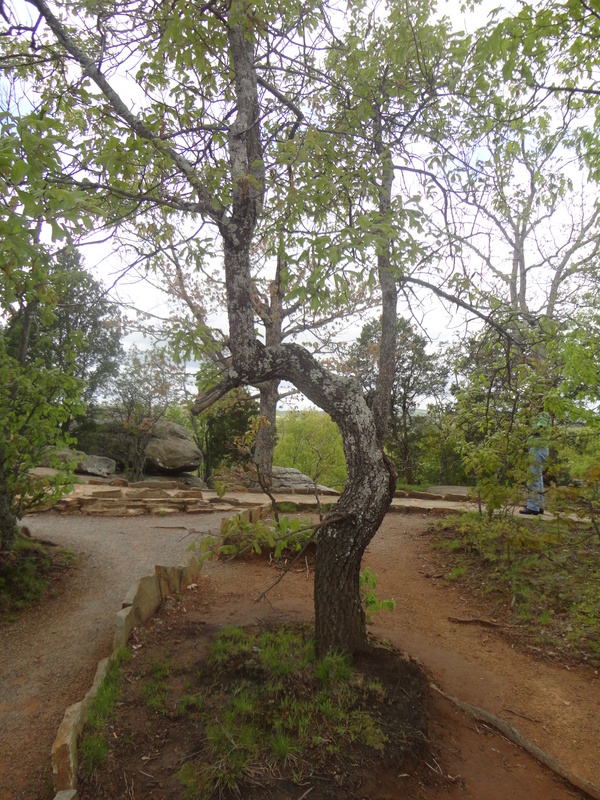 Offered by the Southernmost Illinois Tourism Bureau along with Hardin County’s Main Street, the Garden of the Gods was our first tour stop. A great uplift occurred raising the inland seas above seas level and filling the area with sand and mud exposing the bedrock to erosive forces. These forces created the amazing rock formations we hiked up hill to see. If visiting Southern Illinois be sure to take time to stop in and hike the easily walkable trail to see at least a portion of this magical place. 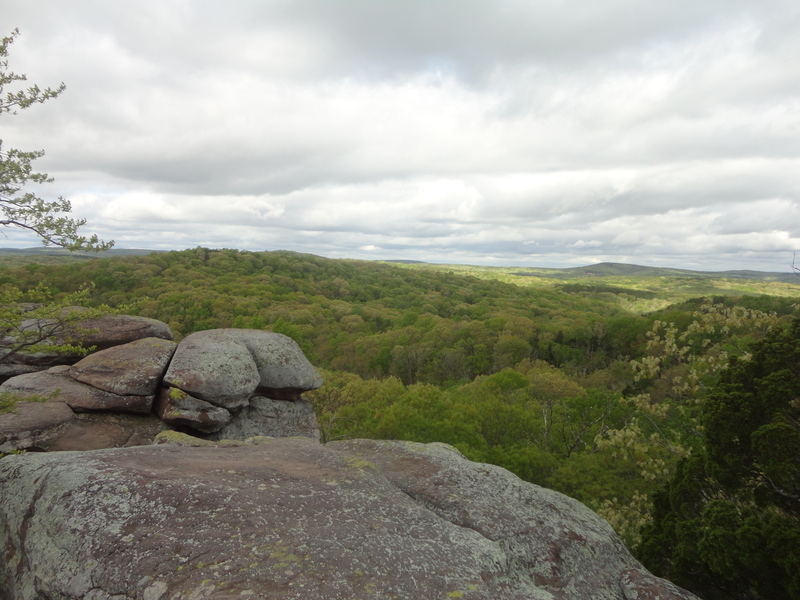 Log onto http://www.fs.usda.gov/recarea/shawnee/recreation/hiking/recarea/?recid=10685&actid=50 for more information. Previous Post: Kibbe Museum offers Lincoln and local history along with a few agricultural surprises as well.